Nutella is such a wonderful thing. I want to find the person that invented the delicious nutty spread & give them a giant kiss. It is guilty pleasure of mine. I have been known to just sit there with the jar & a spoon and indulge in the sweet treat right out of the jar. I also am a fan of the crescent roll. If you stuff a crescent with just about anything it is delicious. I am guessing I would even eat a dirty shoe if a crescent was rolled around it. In honor of Valentine’s Day, I decided to couple two of my favorite foods . Preheat oven to 350. Unroll the sheet of crescent dough. 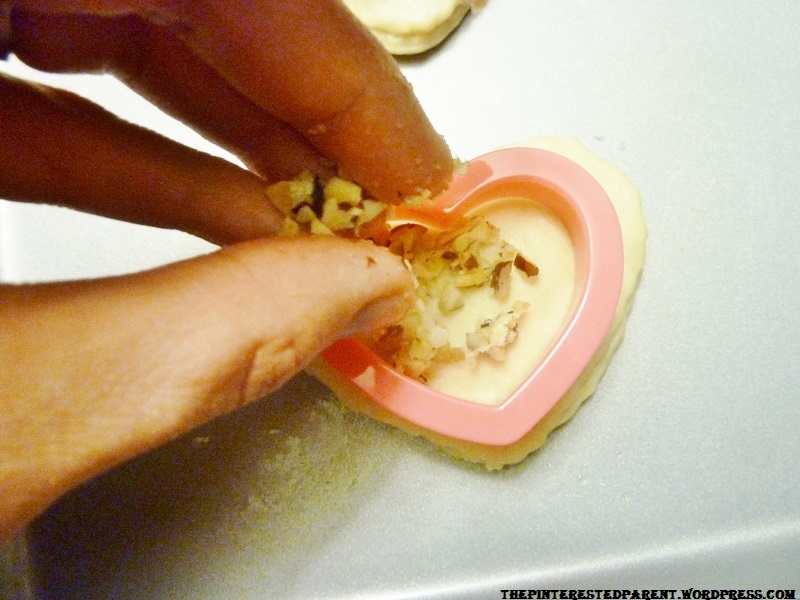 Using a heart shaped cookie cutter, cut out crescent hearts for the top & bottom of your treats. Gather excess crescent & roll out with a rolling pin. 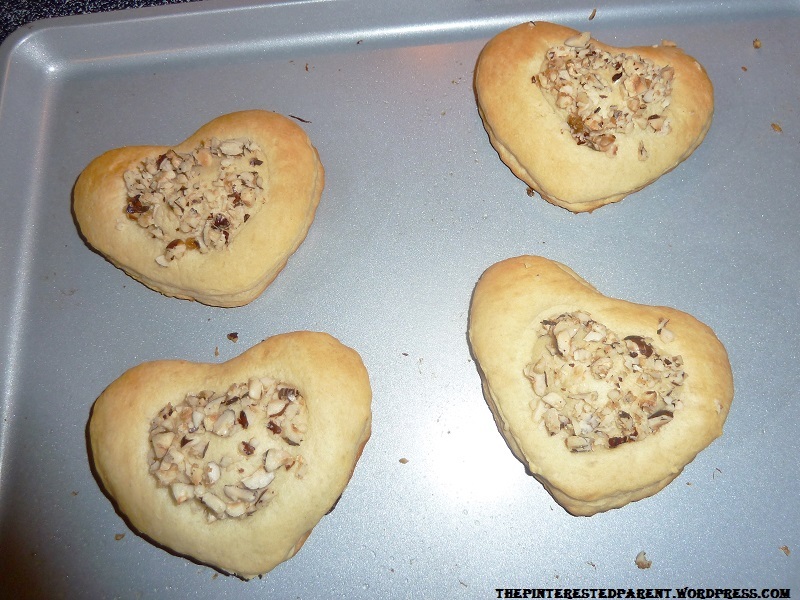 Cut out more hearts until you have used most of the dough. 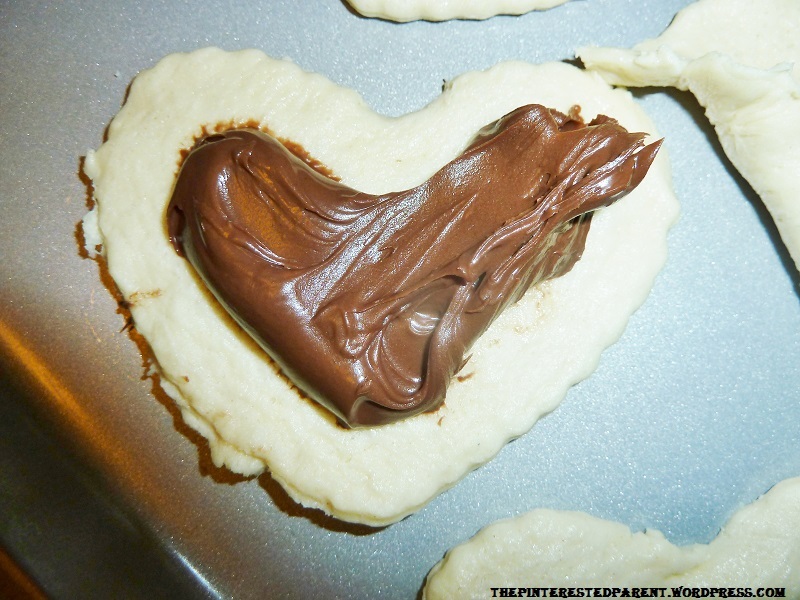 Lay one heart down on an ungreased cookie sheet & generously scoop Nutella & spread in the middle following the heart shape & avoiding the edges. 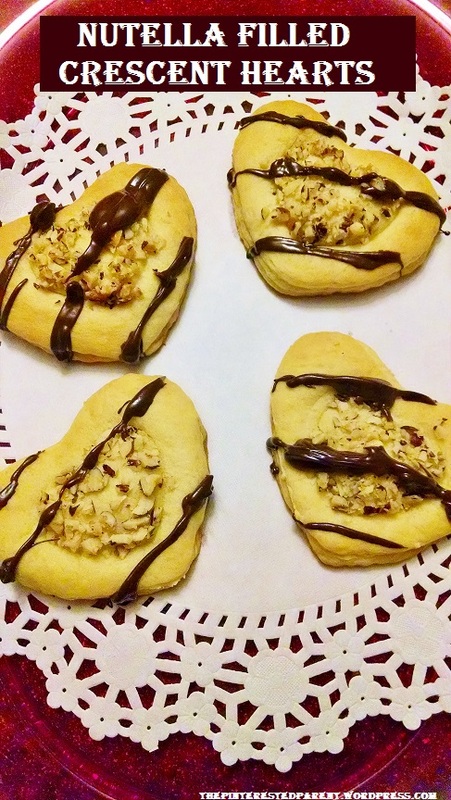 Place another heart over the first heart & Nutella. Pinch the edges. 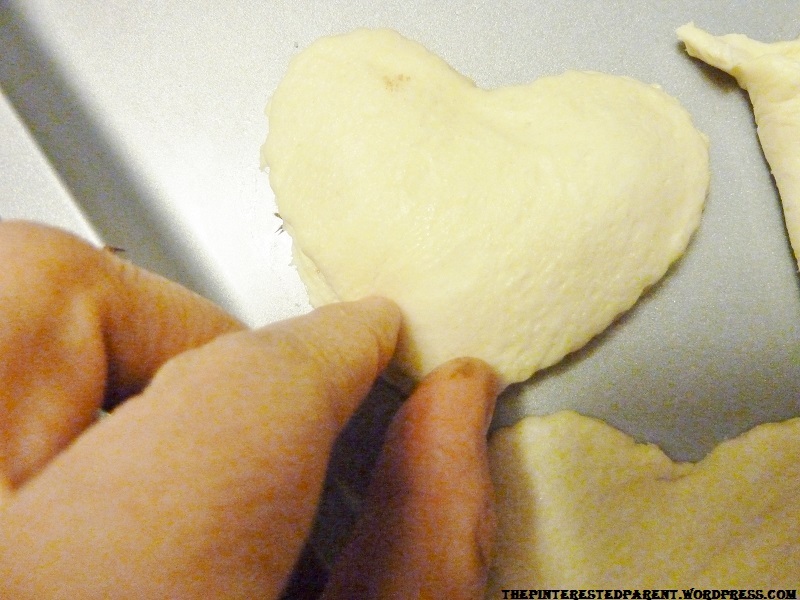 Do this until you use all of your dough hearts. In a saucepan melt butter or margarine over low heat. Add brown sugar & stir until dissolved & then add hazelnuts. Make sure they are finely chopped. Mix until coated with butter & sugar. 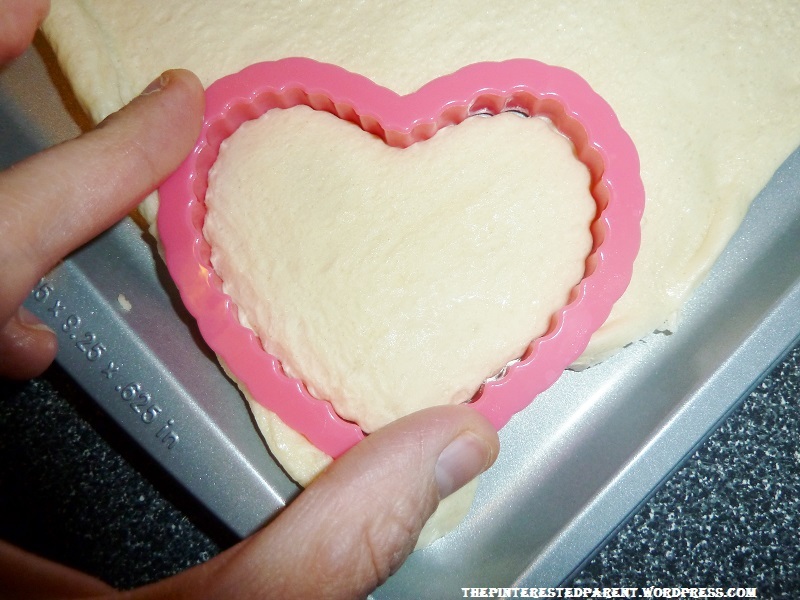 In the middle of your formed crescent hearts, use a smaller heart cookie cutter & press in the center. 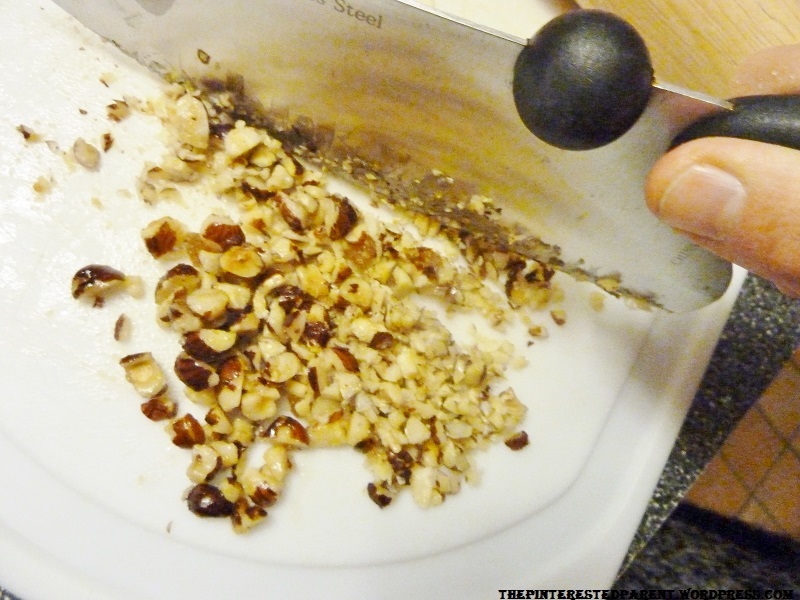 Sprinkle nut mixture in the middle of the cookie cutter until in fills in the shape. Repeat with all formed crescent hearts. Bake for about 10-15 minute or until golden. 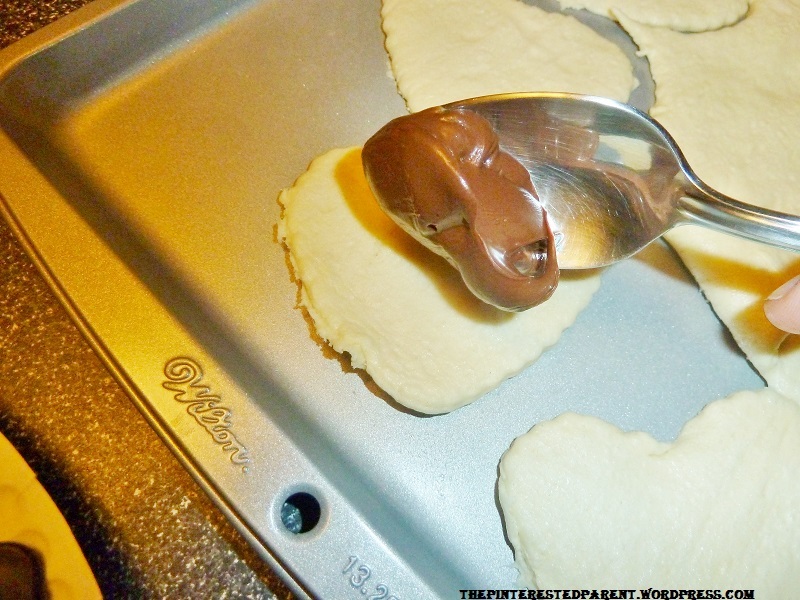 Melt chocolate in a bowl in the microwave. Heat it in 30 second intervals. 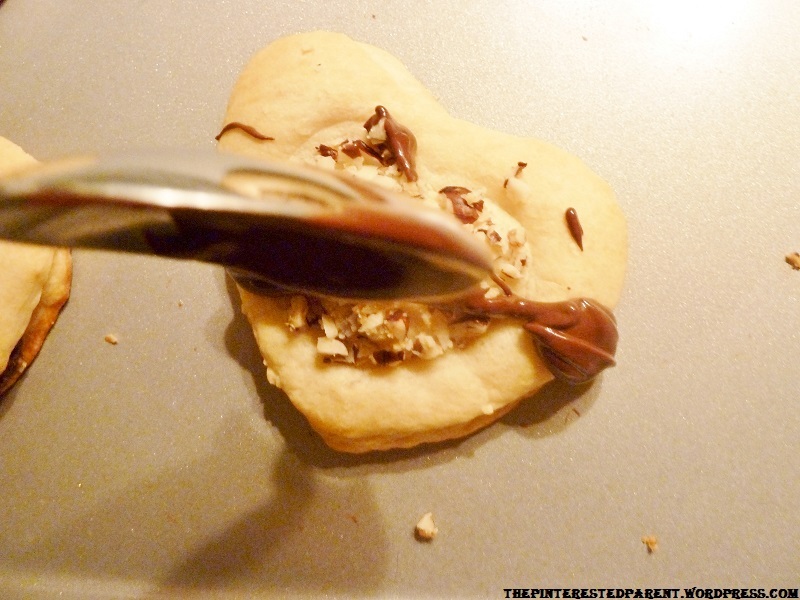 Use a spoon to drizzle chocolate over your hearts & let cool. Our New Book Is Now Available!! Hi! I’m Kim. Welcome to The Pinterested Parent. Click through the image to learn more about me.